Another release from the Powerage label is Viking Skull. At the end of last year this album was released and now it has landed on my table. 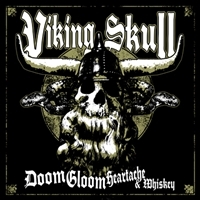 Viking Skull started in 2003 and only 2 of the original members are in today's line-up. Singer Roddy Stone and bassist Waldie found new members to complete the line-up. Dirty stoner and Motorhead fans know what to do!